We are Naples divorce and family law attorneys. We know divorce law and bring the strength of Donna Marshall’s 25 years of marital law experience and solutions to your case. 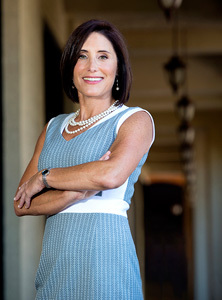 With extensive business background and specialized knowledge of children’s issues, Donna Marshall has the expertise to meet the demands of sophisticated legal and family issues, and she will quickly earn your trust in her integrity and advanced knowledge of divorce law. We listen carefully and talk with you candidly about your financial and business options and your children’s needs, providing you with straightforward answers and a plan to meet your goals. We are committed to providing you divorce representation at the highest level, without unnecessary expense. We negotiate your marital settlement agreement from a position of strength that comes from the thorough preparation we are known for. Whether through mediation, negotiation or trial, the bottom line is that we insist on the provisions that protect your financial investments, your business, your children and your lifestyle into your future. Donna Marshall is a nationally recognized matrimonial lawyer and an examiner for the National Board of Trial Advocacy in Family Law. She has the litigation experience required to achieve your goals at trial and to navigate your case through the court process, without unnecessary time away from your life. We are at your service at Marshall Law Office, known for our reliable and careful attention to your needs and to your case, safeguarding your privacy and dignity as we support you through the divorce process and back to the prosperity of your life and future.